Diana Ayton-Shenker is a philanthropic adviser and founding President of Global Momenta, an international consulting firm specializing in effective partnerships and leaderships for human rights, sustainable development, art & culture. After living in Israel, Spain, England & France, she now lives in the Hudson Valley in upstate New York. Tumbalalaika is her first collection of poetry. Hall Gardner’s poems have been published in: Chanticleer (No. 15, October 2006); Sheets for Men Only: An International Anthology of Poetry & Prose (Dancing Ink Press, 2004); Fire Readings (Frank: Paris 1991); Catalyst (Fall 1989); Working Cultures (Spring 1984); the Peace or Perish Crisis Anthology (San Francisco, 1983); Hoo-Doo 7 (1980); The Unrealist (1980); Three Sisters and Saxifrage (Georgetown University); Sol (Howard University); the Colgate Portfolio (Colgate University), plus dozens of poems in the Paris Atlantic in the decade 1990-2000 (American University of Paris); the Washington Peace Center Newsletter (throughout 1980); Visions; Ultramarino, among many others. His poems likewise appear on the website of Poets Against the War. The title poem, “The Wake-Up Blast,” first appeared in the e-book, Poems for Madrid, edited by Todd Swift. His short story Laundromat Reflections (14th of July) first appeared in The Paris Times, No. 5, February 2006; the full-length story appeared on-line on the Nthposition web magazine in March 2006 (London), edited by Val Stevenson, along with a number of essays. Hall Gardner is author of Averting Global War: Regional Challenges, Overextension and Options for American Strategy (Palgrave, 2007) and American Global Strategy and the “War on Terrorism” (Ashgate, 2005; 2007), Dangerous Crossroads: Europe, Russia and the Future of NATO (Praeger, 1997); Surviving the Millennium: American Global Strategy, the Collapse of the Soviet Empire, and the Question of Peace (Praeger, 1994), among many other books and articles on international politics, global security issues and conflict resolution. He is a professor at the American University of Paris. 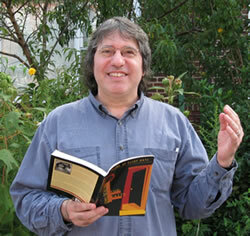 Eliot Katz is the author of five books of poetry: When the Skyline Crumbles: Poems for the Bush Years (Cosmological Knot Press, 2007); View from the Big Woods: Poems from North America’s Skull (Cosmological Knot Press, 2007); Unlocking the Exits (Coffee House Press, 1999); Les voleurs au travail (Thieves at Work) (Paris: Messidor Press, 1992, in French translation) and Space and Other Poems for Love, Laughs, and Social Transformation (Northern Lights, 1990). He is a coeditor of Poems for the Nation (Seven Stories Press, 2000), a collection of contemporary political poems compiled by the late poet Allen Ginsberg. A cofounder and former coeditor of Long Shot literary journal, Katz guest-edited Long Shot’s final issue, a “Beat Bush issue” released in Spring 2004. His poems are included in the anthologies: Poetry After 9/11: An Anthology of New York Poets; Blood to Remember: American Poets on the Holocaust, 2nd ed. ; The World the 60s Made: Politics and Culture in Recent America; Aloud: Voices from the Nuyorican Poets Cafe; Blue Stones and Salt Hay: An Anthology of Contemporary New Jersey Poets; Identity Lessons: Contemporary Writing About Learning to Be American; Bum Rush the Page: A Def Poetry Jam; Nada Poems; Confronting Capitalism: Dispatches from a Global Movement; and In Defense of Mumia. His essay, “Radical Eyes,” is included in the prose collection, The Poem That Changed America: “Howl” Fifty Years Later. He is coeditor of a bilingual anthology published in France in 1997, entitled Changing America: Contemporary U.S. Poems of Protest, 1980-1995. Called “another classic New Jersey bard” by Allen Ginsberg, Katz worked for many years as a housing advocate for Central New Jersey homeless families. He currently lives in New York City and serves as poetry editor of the online politics quarterly, Logos: A Journal of Modern Society and Culture. 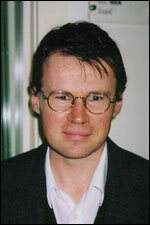 Jack Ross is a New Zealand poet and fiction-writer. His latest collection of short stories, Kingdom of Alt, was published by Titus Books in September 2010. His other publications include three full-length books of poems, numerous poetry chapbooks, three novels, a novella, and another book of short stories. He has also edited a number of books and literary magazines, including (with Jan Kemp) the trilogy of audio / text anthologies Classic, Contemporary and New NZ Poets in Performance (Auckland University Press, 2006, 2007 & 2008). Ross has a Doctorate in Comparative Literature from the University of Edinburgh, and works as a Lecturer in English and Creative Writing at Massey University's Auckland Campus. You can find details of previous and upcoming publications at his blog The Imaginary Museum.